Every tool you need to run a highly profitable and self-managed real estate sales business. Start Here: Read My 29 Page Real Estate Team Manifesto: The 6 Areas of Mastery. You'll also get my regular (once a week, max) updates from the trenches! Imagine if you could take a master class that maps out every internal system used by a $150,000,000 producer who is netting seven figures right now. Dan Beer pulls back the curtain and takes you point by point through the systems his team currently uses to win so you can immediately implement! Fast forward the learning curve and save literally hundreds of thousands of dollars Dan had to spend while learning and testing what works and what doesn’t. 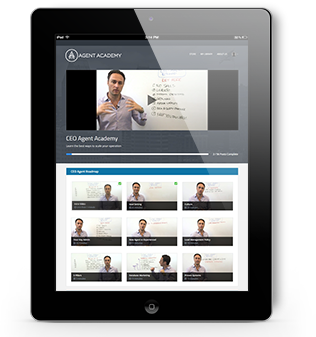 This is a big, deep, and highly detailed 7 week course plus a bonus advanced marketing module. 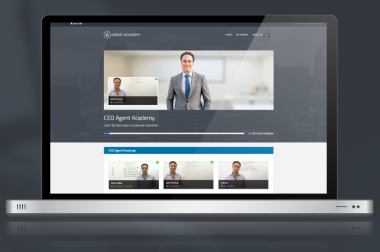 CEO Agent Academy is our Flagship course giving you every tool and thought process step by step that Dan uses to run his team in precise detail. There is no program as open and transparent as this one anywhere offered by somebody is ACTUALLY in the game just like you. Complete with downloads and in depth training to understand and implement immediately. I have spent hundreds of thousands of dollars testing everything I could get my hands on in farming. I know what works and I know what doesn’t. Now I’m sharing it all with you. How would you like to have a point by point walk through of every tool, system, technique, and marketing strategy my real estate team currently uses to farm over 32,000 homes per month and generate over $1MM in GCI per year just from our farm alone. In fact, this year we will generate roughly $1,750,000 in commissions with our farming program. This NEW training program gives you a full look under the hood of the most powerful lead gen source of one of the top producing teams in the nation. In fact, farming was the key strategy that led to our business landing on at #831 on the Inc. 5000 list of fastest growing companies. 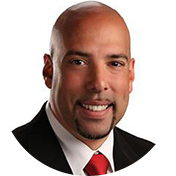 Cal Carter, Keller Williams Realty "Dan is a wealth of knowledge when it comes to growing the right culture for your real estate team. What he has shared with me has been invaluable." 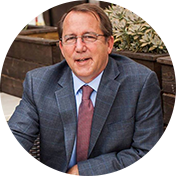 Richard Schulman, Keller Williams Realty | $96MM sold in 2016 "Daniel has shown a unique business insight into running a real estate business, yielding higher profits and better customer satisfaction"
Gary Ashton, Re/Max Advantage | 772 homes sold in 2016, #8 Re/Max agent in the world "Dan's systems are powerful and insightful but he has a way of also keeping it simple. That's what I love about what he does and teaches." 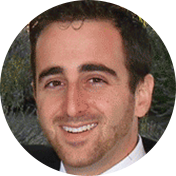 Greg Geilman, Re/Max Estate Properties | Sold $89 MM in real estate in the last 12 months "Daniel is one of the brightest minds in real estate I have come across in my 11 years selling homes. 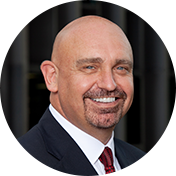 My team has sold $89MM in real estate in the last 12 months and we have implemented many of his ideas." 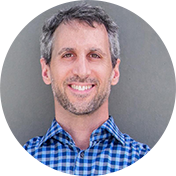 Mark Zawaideh, Keller Williams Realty | 551 Homes Sold in 2016 "In 2016 my team sold 551 homes with me out of production and the one person I made sure to consult with on a regular basis on systems was Daniel Beer."